With the warm days of summer soon to be replaced by fall’s autumn leaves, there’s no time to waste a single golden moment…especially waiting in crowded beach lines for food. 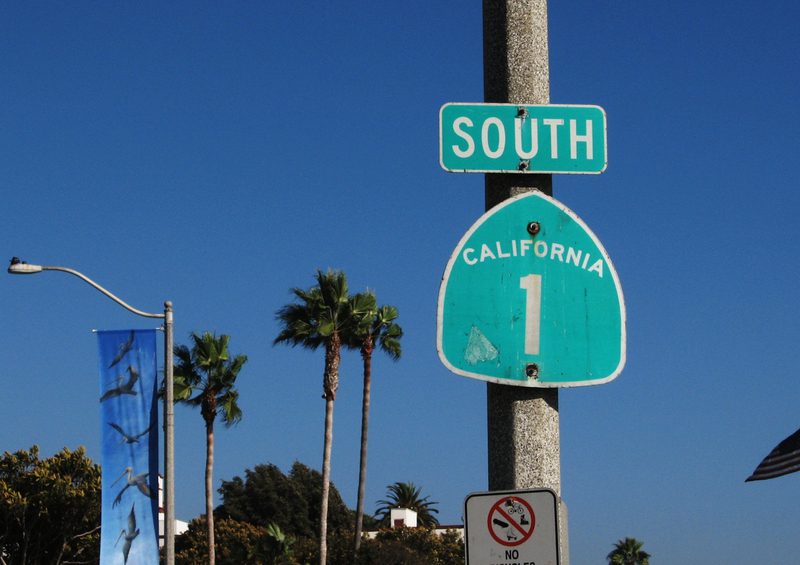 When you’re headed out to the beach or driving down PCH, it’s a good idea to grab some food to-go. You’ll have something to eat on the way or when you get there…and be ready to drop your towel on the sand or paddle out to catch the best waves. 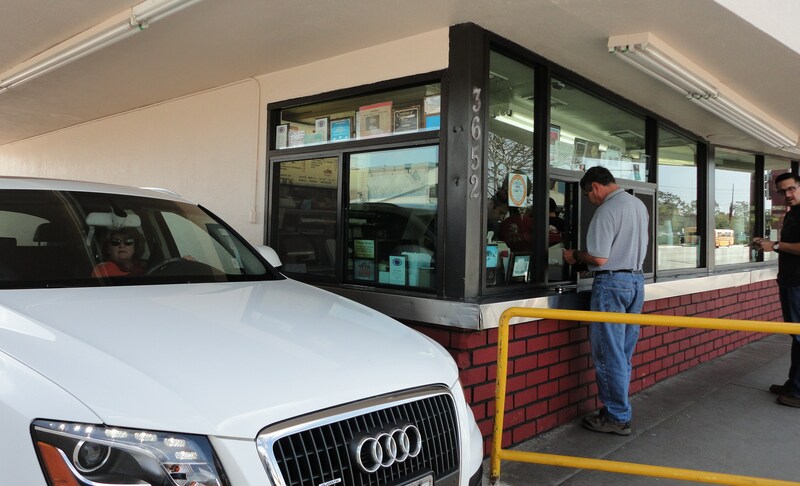 Los Alamitos makes a perfect pit stop for beach eats – en route to both Seal Beach and Huntington Beach with great grab-and-go food that doesn’t need a knife and fork. 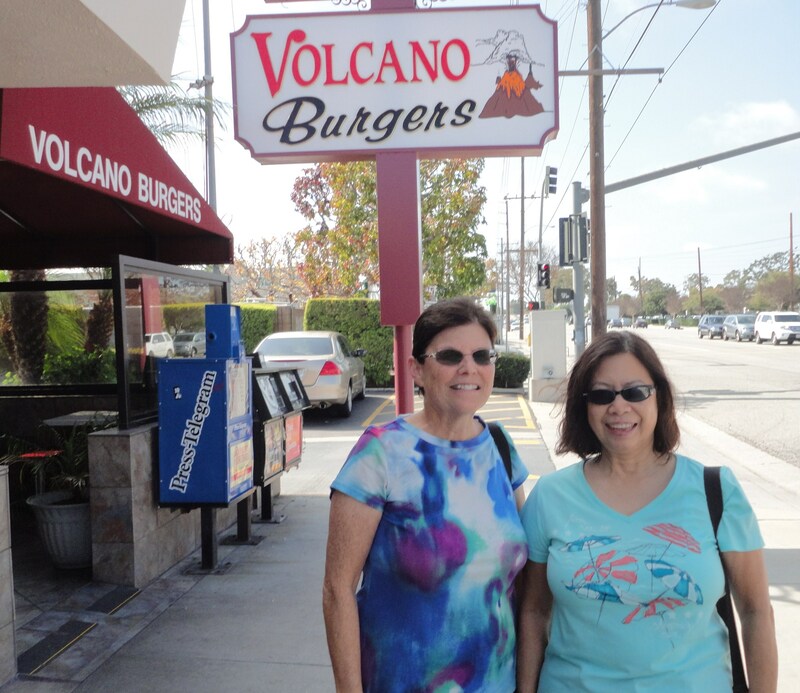 SurfWriter Girls Sunny Magdaug and Patti Kishel know just where to go – Pasty Kitchen, Volcano Burgers and Taco Surf. 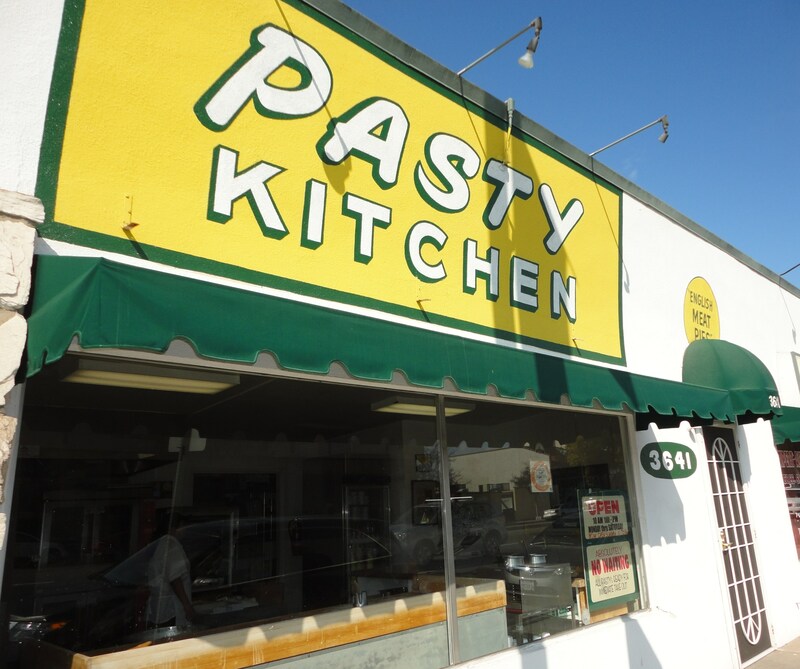 SurfWriter Girl Sunny has been going to Pasty Kitchen (3641 Katella Avenue) forever. She’s such a fan of the pasties (meat pies baked without a pan) that when she walks in the door everyone recognizes her. 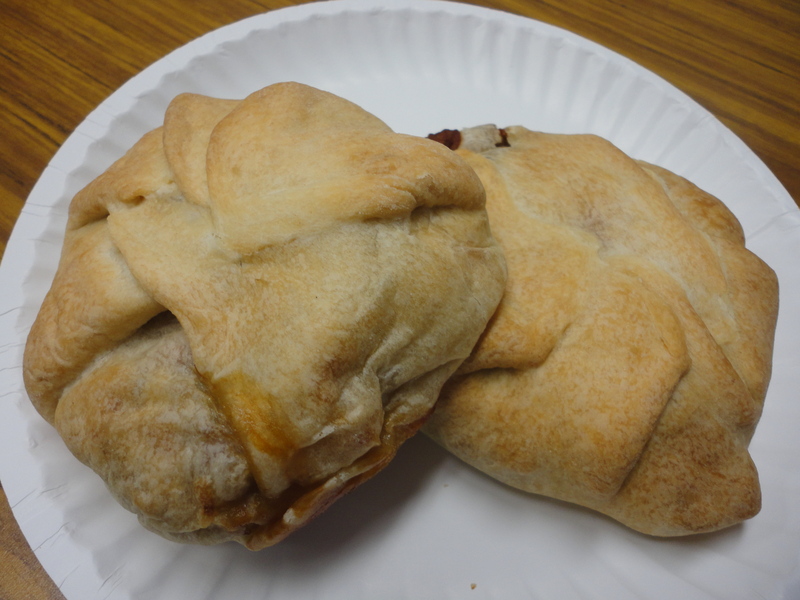 Along with its traditional beef and chicken pasties made with a mix of potatoes and carrots, Pasty Kitchen has vegetarian pasties – Sunny’s favorite – and even apple- and cherry-filled dessert pasties. 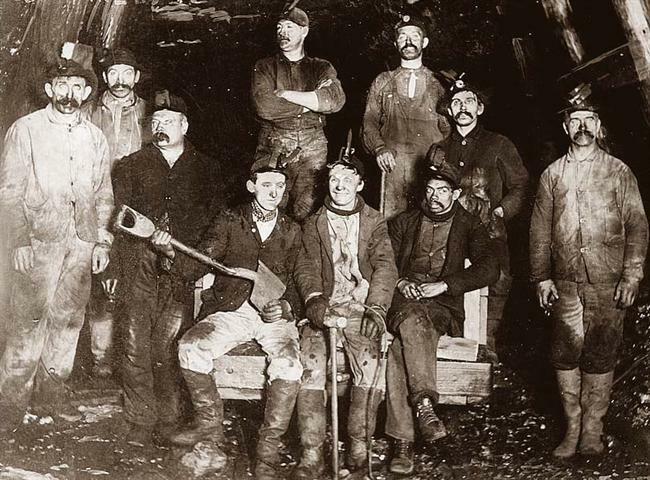 Pasties (pronounced “pass-tees”) originated in Europe in the 1300s and are closely associated with Cornwall, England, where coal miners favored the meat pies because they were easy to carry. 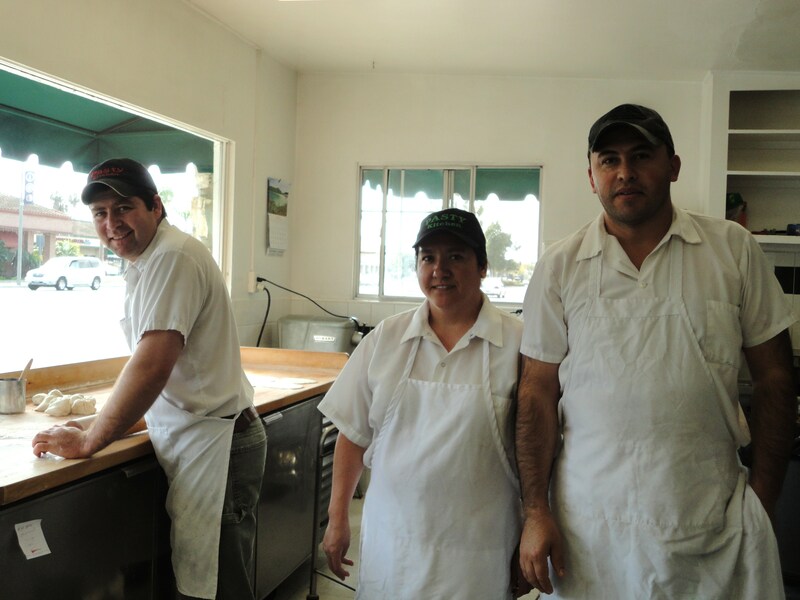 With over 50-years of experience making pasties, Pasty Kitchen knows how to create perfect pies that are packed with flavor and are just the right size to fit in your hand. The baking area in the tiny shop is in plain sight from the order counter. 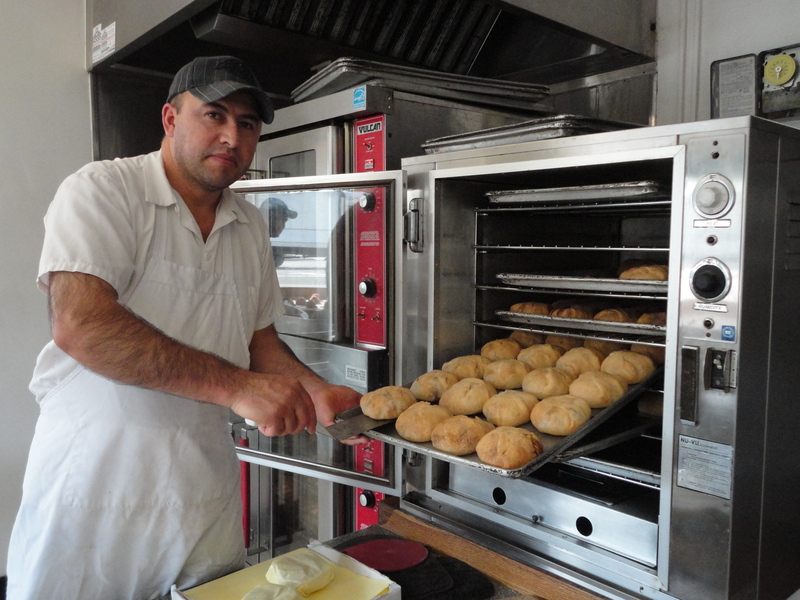 So, you can even watch the pasties being made and pulled out of the oven. “For a little shop they have a lot going on,” says Sunny. Pasty Kitchen has a couple of umbrella tables outside, if you want to linger. 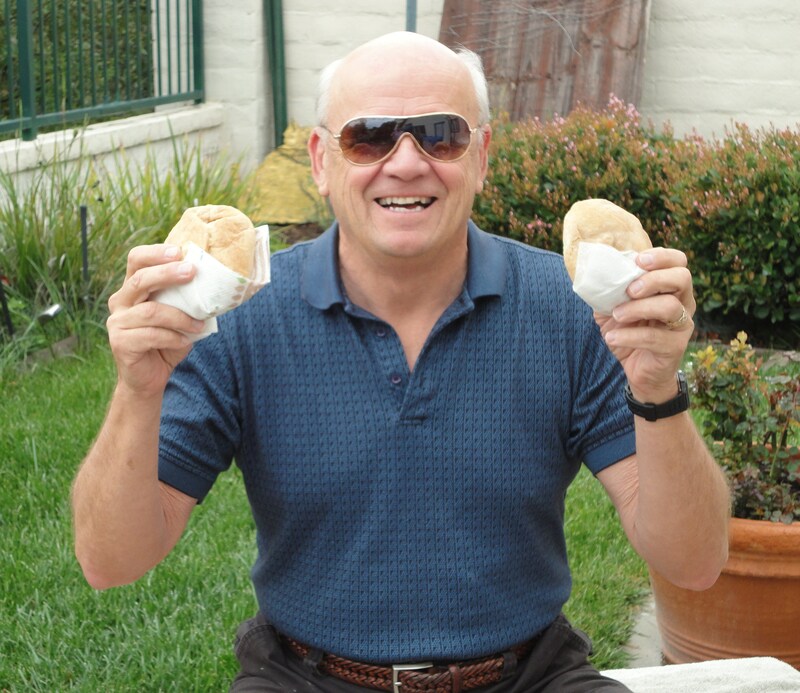 Or just grab the hot pies and head out! At little more than two dollars each, you can enjoy an authentic taste of Cornwall that people have sought out for centuries. 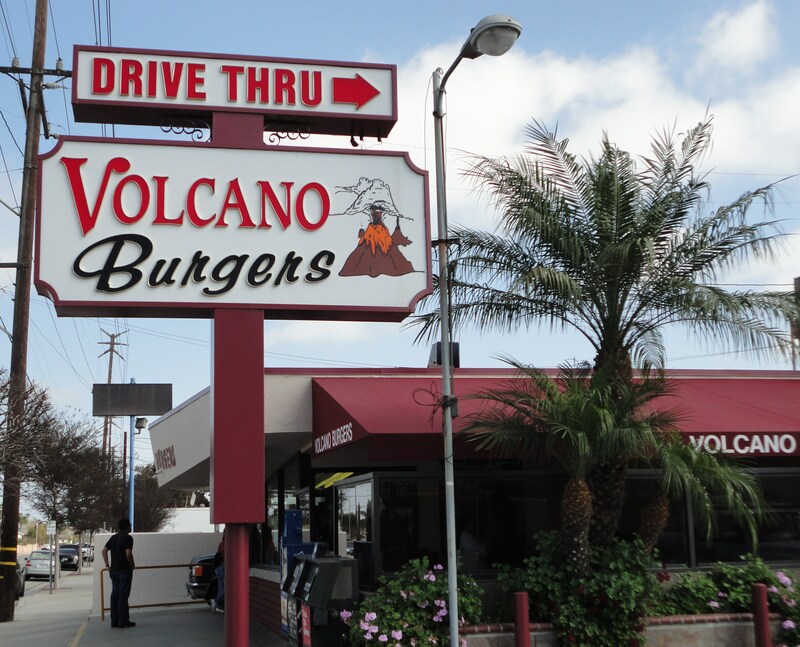 Another way to jumpstart your taste buds on a SoCal beach day is to cruise through the drive-thru window at Volcano Burgers (3652 Cerritos Avenue), which has been making burgers for over thirty years. 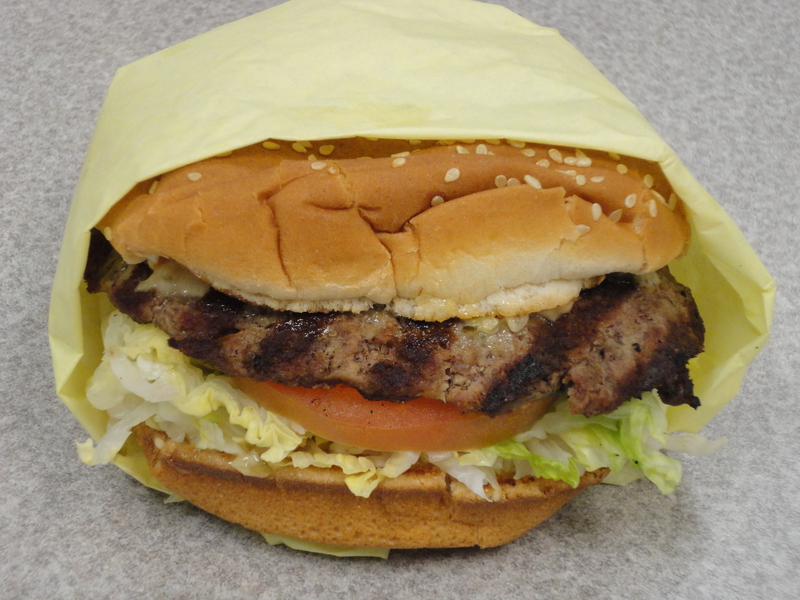 You’ll get a hamburger ($2.59) unlike any other you’ve tasted. 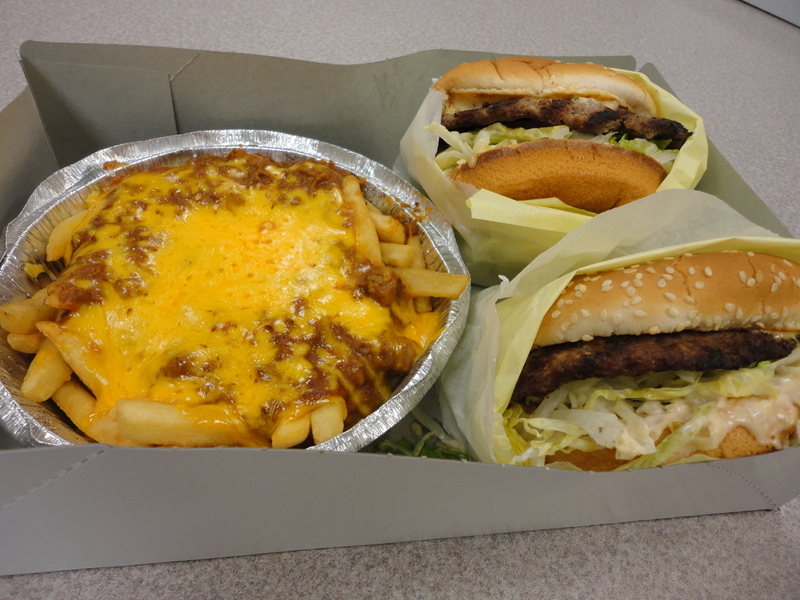 When you see how big it is, with the ingredients spilling over the bun, you’ll be glad that the take-out orders come in boxes instead of bags. 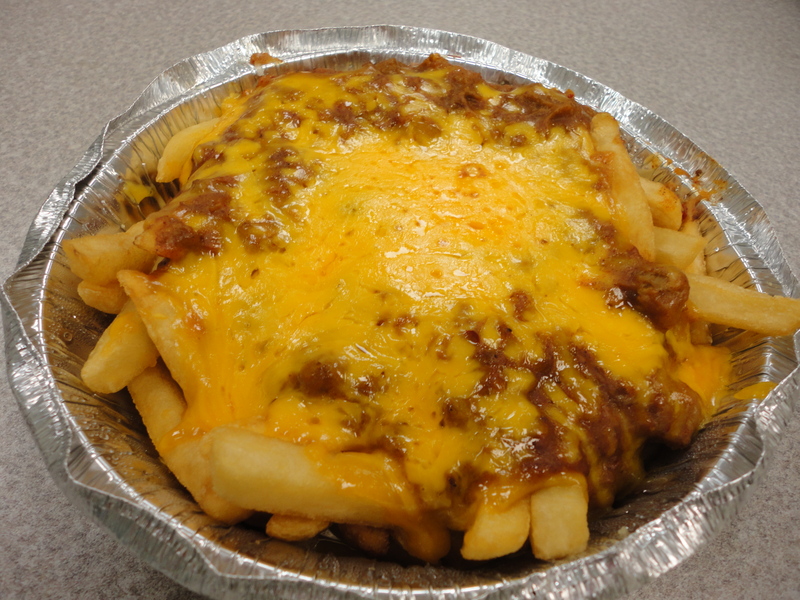 The same goes for the chili cheese fries ($3.69), which are hard to consume in a single sitting. The melted cheddar cheese covering the fries in lava-like splendor tells you that these fries are fit for a king or, in this case, a goddess – Pele, the Hawaiian Volcano Goddess. 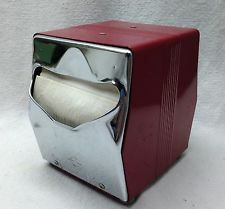 So, be sure to ask for extra napkins. Lots of them! 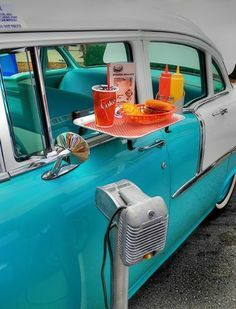 VB’s menu includes hot dogs, chili cheese dogs, gyros, BLTs, chicken strips, zucchini fries, and other hand-held food for the open road along with classic shakes and floats to stick in your cup holders. Given the large portion sizes, though, you may need to loosen your seat belt a bit to accommodate the extra calories. 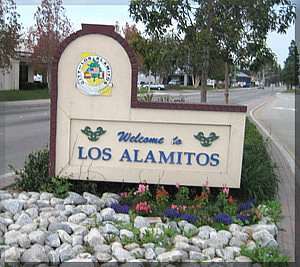 If you’re in a hurry, just be sure to avoid the noon lunch and after-school crush of students from Los Al High across the street. When classes let out everyone makes a dash for VB. 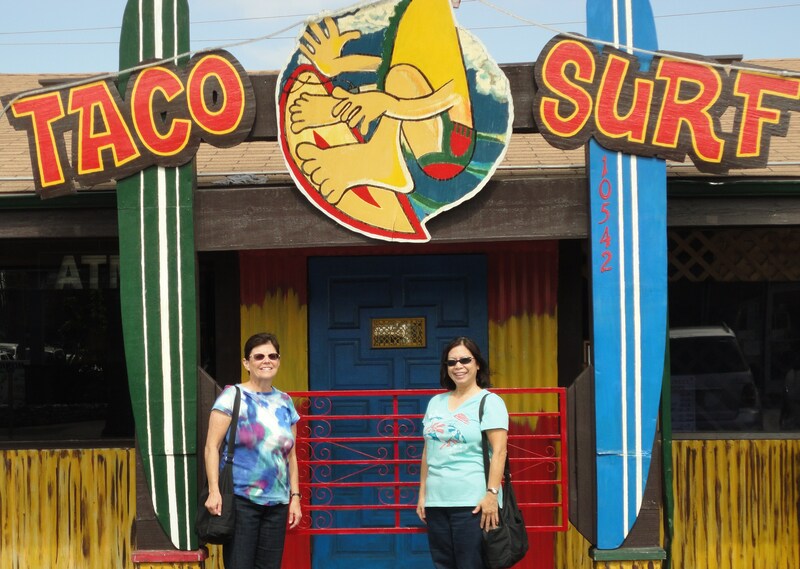 Taco Surf (10542 Los Alamitos Boulevard and other SoCal locations) lives up to its Mexican and beach-themed name, offering a variety of tacos, enchiladas, burritos, and more in a casual, ocean type hangout with surf boards, bright colors and beach decor. 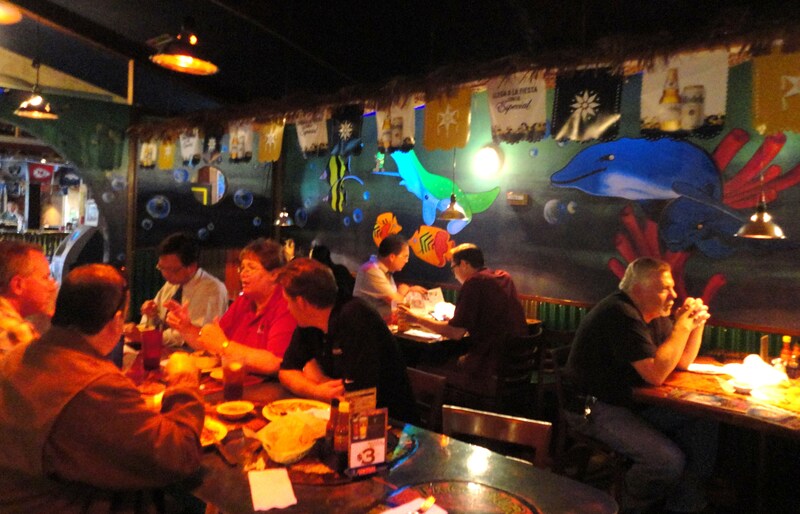 Whether you drop by to get something to go or stay around to “Party on!” as the signs say, the staff is eager to make you feel welcome. 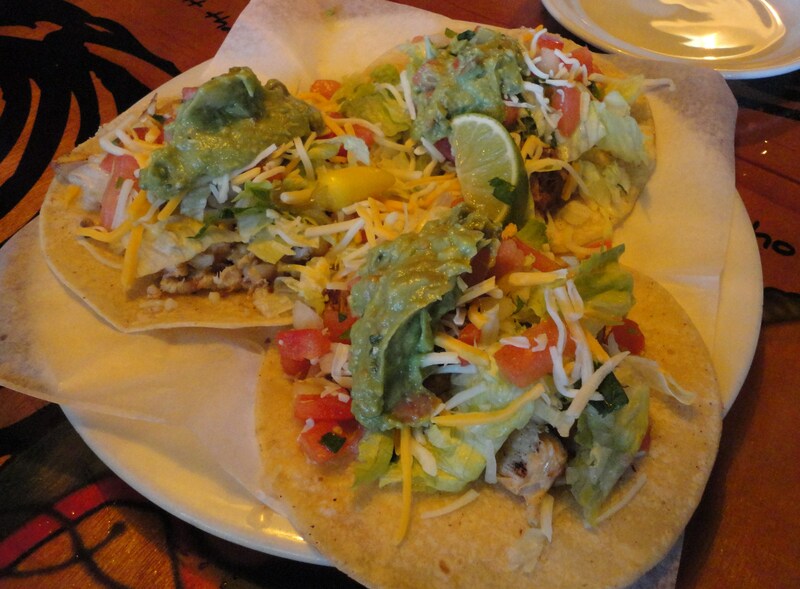 The three-taco special ($8.75) is just the thing to take to the beach and you have a choice of beef, chicken or fish. So, you can get one of each. 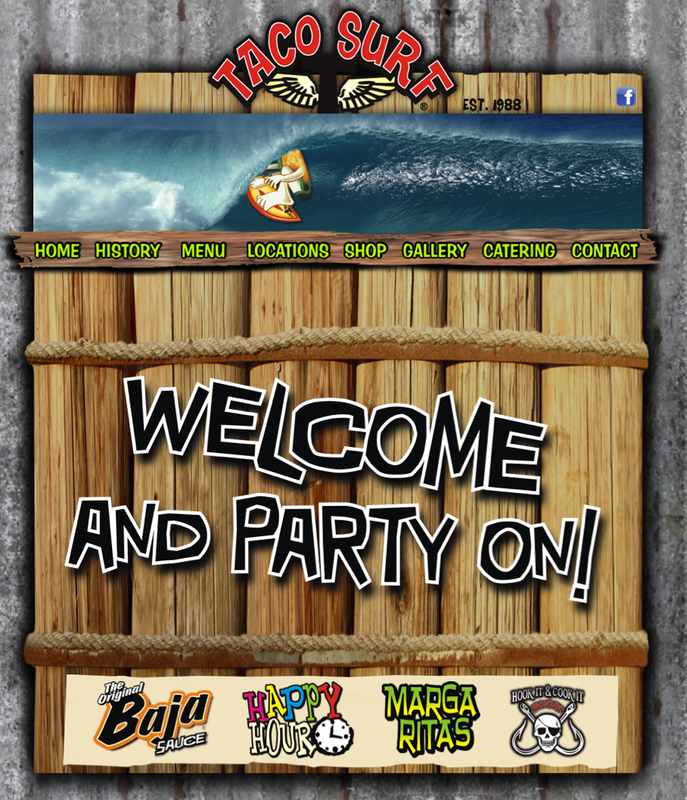 Taco Surf has been around for over 25 years providing a taste of Baja California’s surf culture and food, utilizing family recipes enjoyed for generations. 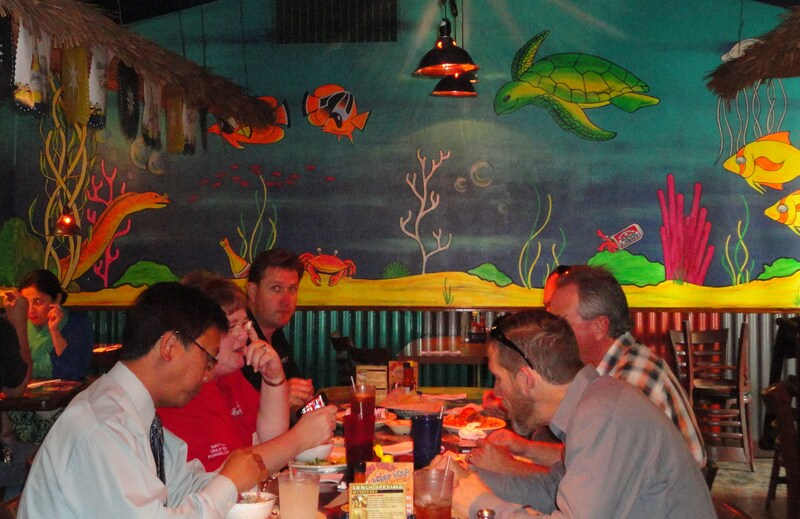 The menu includes a wide range of taquitos, tostados and quesadillas and lunch and dinner combos. 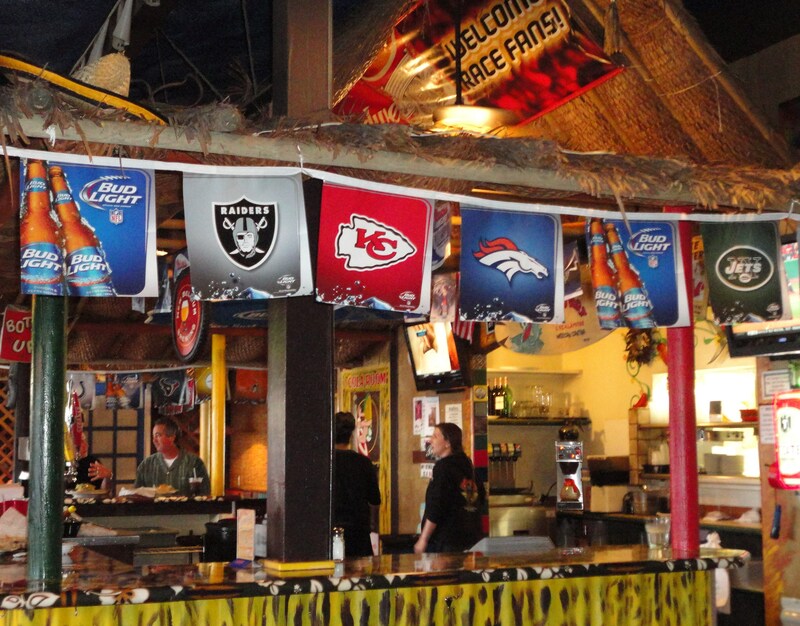 And, if you’re heading back from the beach early, Happy Hour starts at 2:00 p.m. on Monday – Friday with $1.50 tacos and $2.50 draft beers. 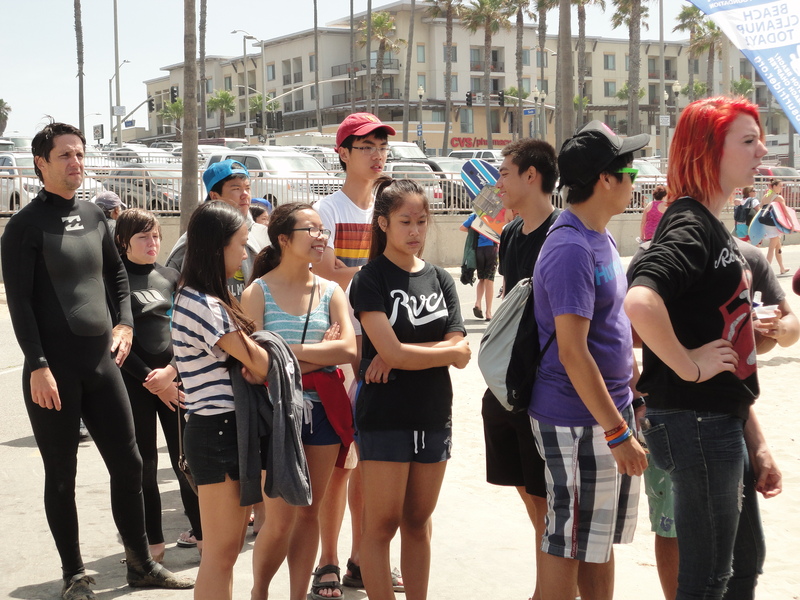 So, even if you didn’t get in a full day of surfing or sunbathing, you can still relax and enjoy a beach vibe. When you’re in the mood to splurge a little, try the carne asada ($13.75) made with charbroiled flank steak or the pescado fish of the day ($12.95) topped with fresh mango salsa. Both come with Spanish rice, refried beans and tortillas. 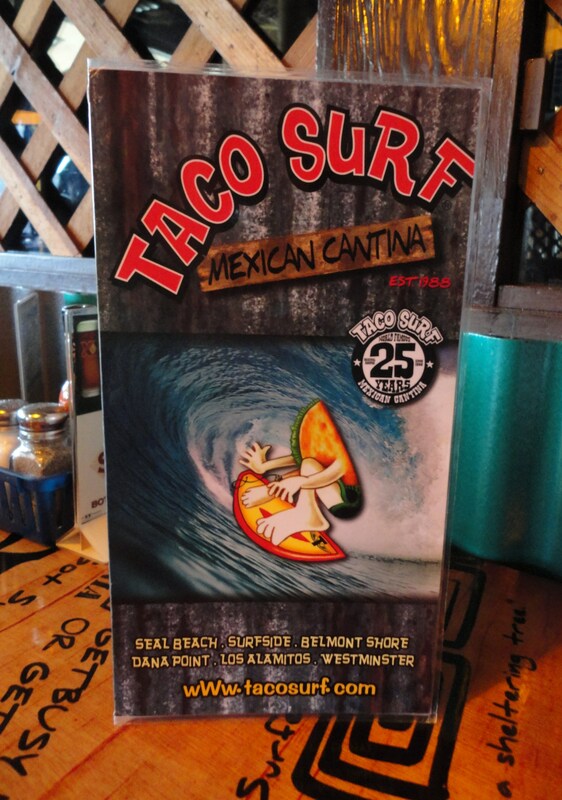 With its other locations along the coast in Belmont Shore, Surfside, Seal Beach, Westminster and Dana Point, you can soak up Taco Surf’s friendly atmosphere from practically anywhere in OC. 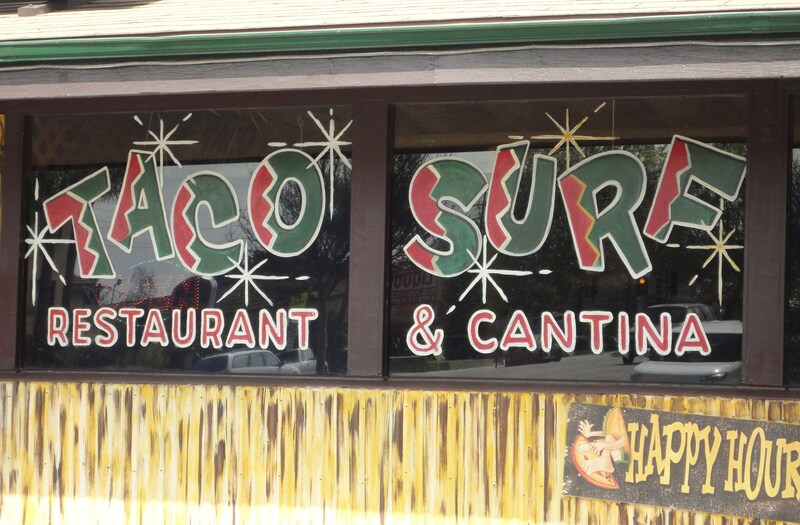 So, whenever you get a craving for one of its tacos, there’s a Taco Surf nearby. 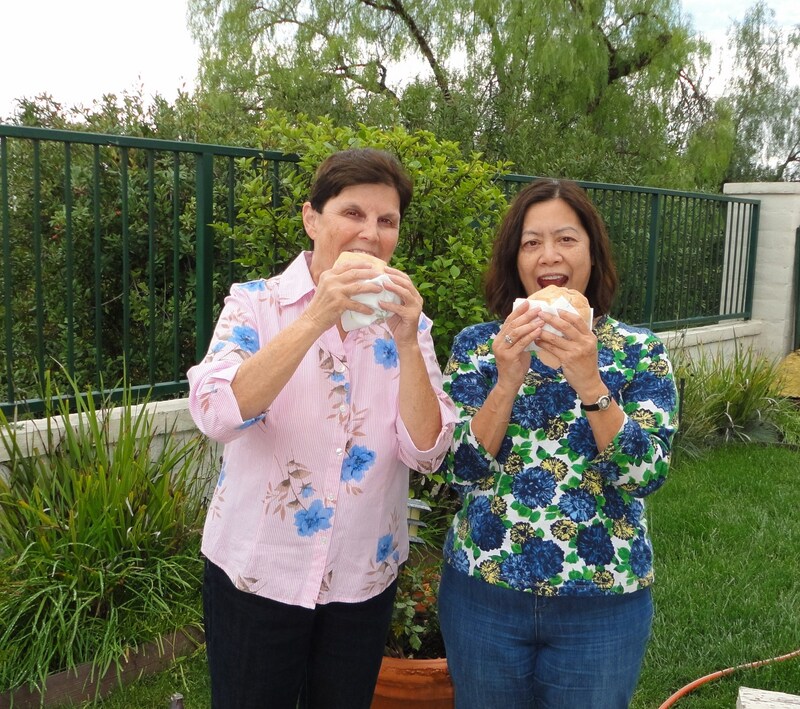 This works out great for SurfWriter Girls Sunny and Patti when we’re out covering beach stories and finding new places to share with our readers. 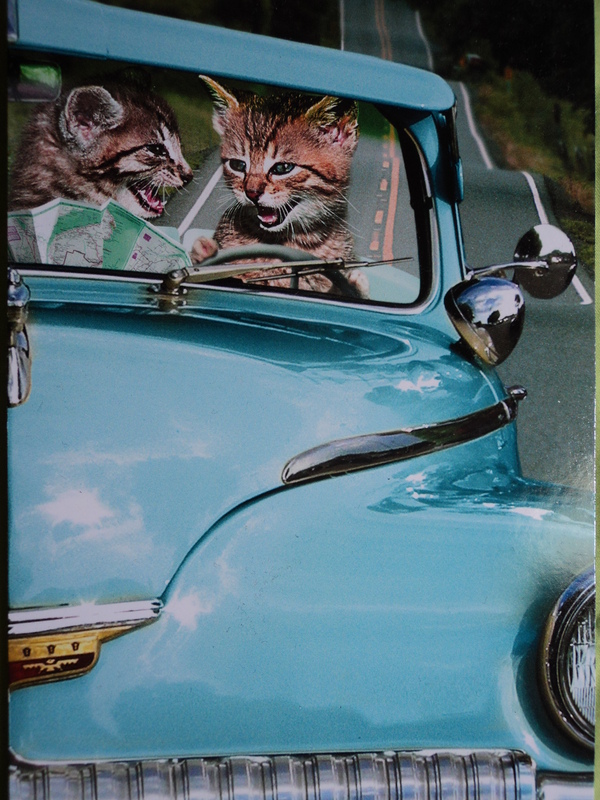 Whether you’re loading up your car for a day at the beach or on your way home, it’s good to know that there’s no shortage of purrfect pit stops for beach eats to-go. 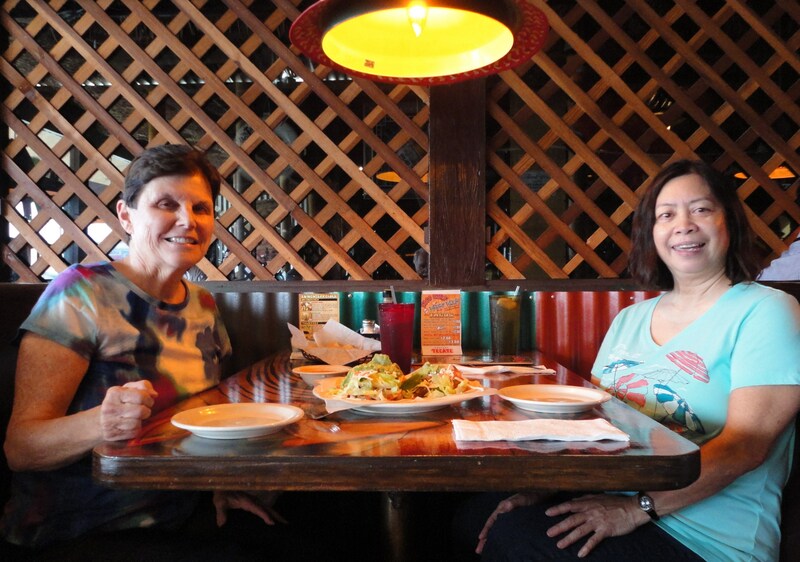 Adding up their combined years in business, Pasty Kitchen, Volcano Burgers and Taco Surf have been satisfying the community’s food urges for over 100 years. 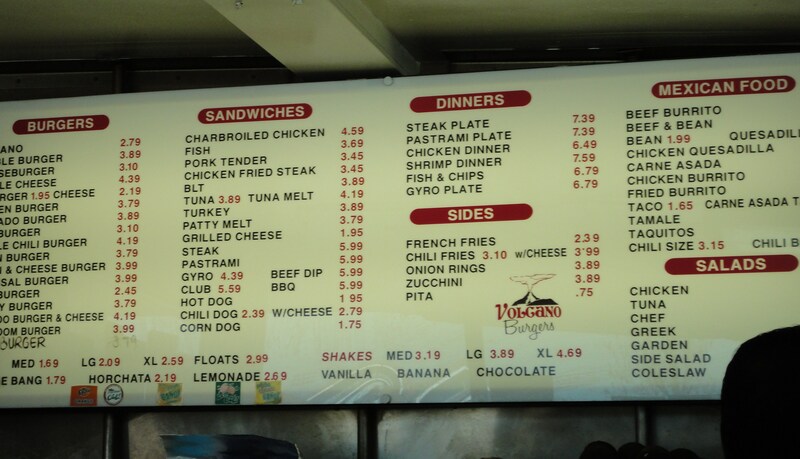 That translates into a lot of meat pies, burgers and tacos…and definitely napkins!